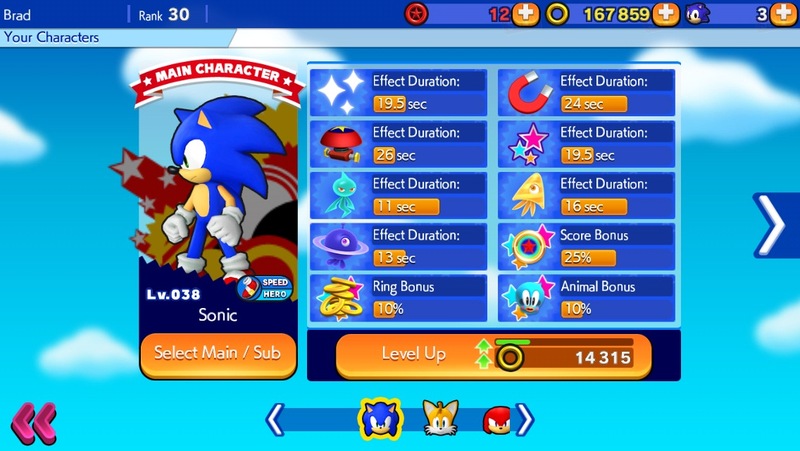 As we reported earlier today, news of a new Sonic mobile game from Gameloft, Sonic Runners Adventure, appears to have been leaked. Amongst the leaks was a support page on Gameloft’s website detailing much of the gameplay which, if true, suggests this new Runners game will bring some significant changes to the original game’s formula. As we mentioned in our news article earlier today, this game will only need to be connected to the internet once, when it is launched for the first time on a device – surely welcome news for anyone who has poor internet signal or commutes on the subway. 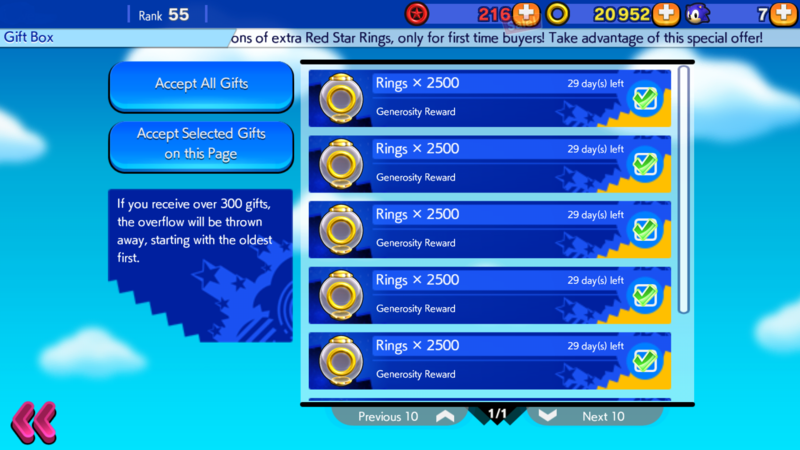 The original Sonic Runners was free-to-play, but included a premium currency in the form of red rings which were used to unlock special characters, continue after death, and to play a roulette mini game that could be used to win characters or items; Sonic Runners Adventure instead employs a system in which everything within the game is purchased with normal rings, which can be collected in levels or earned by completing achievements. 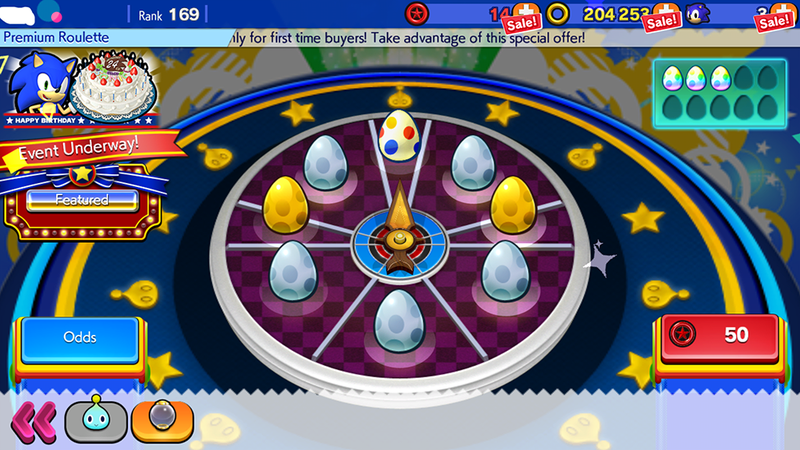 The roulette mini game, the source of much contention in the first title, is not mentioned in the FAQ. 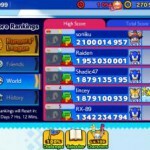 Sonic Runners included a feature in which friends could send gifts and be competed against via leaderboards; this currently appears to have been dropped for Runners Adventure. 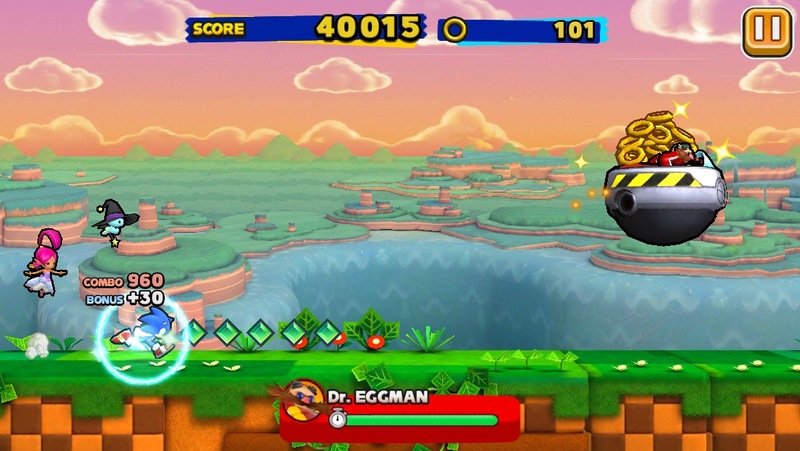 The story and timed modes look to have been retained, although the way progression works in story mode will be different, with new chapters unlocked through earning stars, which can beobtained by completing missions in each level. 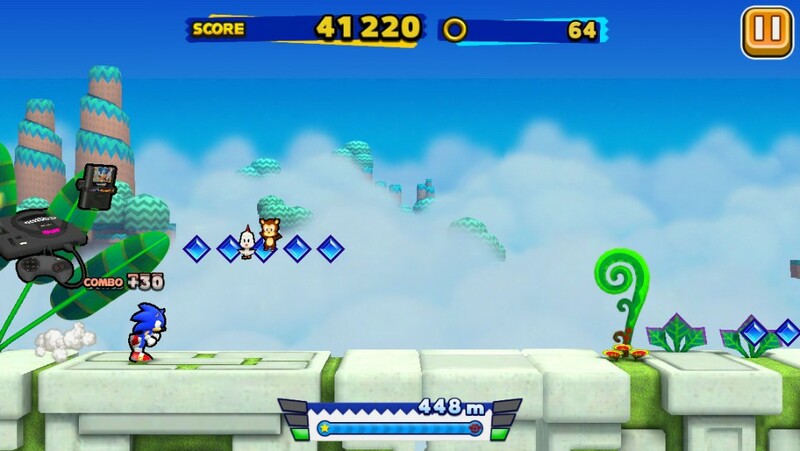 In addition to these three level types, there are also bonus levels that can only be accessed by collecting a bonus item and beating the stage; in these stages the player flies around and collects rings. The controls are simple: hold or tap the screen to go up, release to go down. These levels have no enemies or obstacles. Team Dark can turn their enemies into golden enemies, which count for two enemies each. 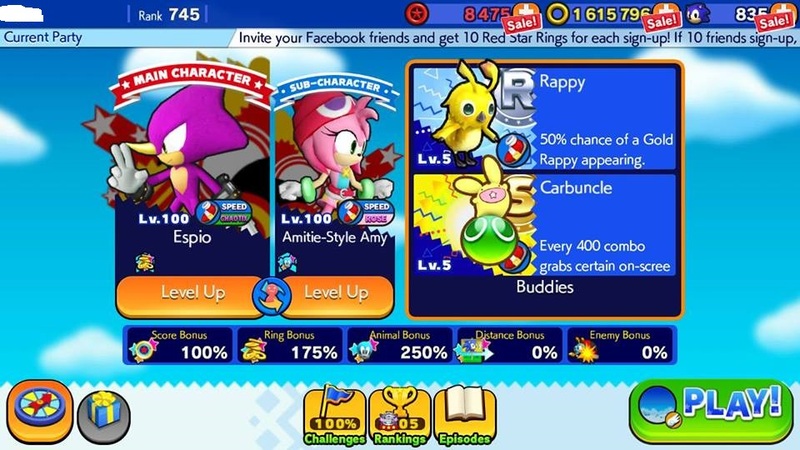 A team screen can be used to purchase and equip “buddies”, purchase and equip boosters, purchase characters, and find out character attributes. 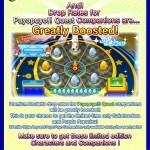 The number of equippable boosters goes up as more characters in a given team are unlocked and much like the original game, that number tops out at three. 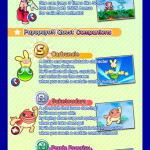 Characters level up over the course of the game, with the character level determining the duration of the booster item’s effect; the maximum level a character can reach is level 5. Finally, the game makes mention of a “camera angle” that will shift when a character is performing certain stunts and cannot be controlled. This particular detail is rather unusual, given that the original Sonic Runners was a sidescrolling game and didn’t have camera angles. This would seem to suggest that Sonic Runners Adventure might have some sort of 3D polygonal component, though this is pure speculation. It’s pretty rare for a new Sonic game to get an info dump the day it is announced, let alone before its announced. Stay tuned to Sonic Stadium for more information as it comes! 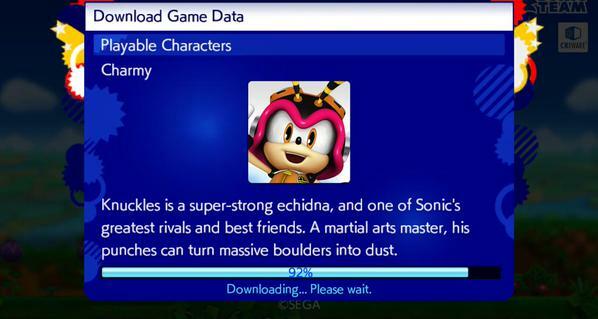 Now, in the past, I have been quite vocal regarding my stance on a certain ‘free’ to play mobile game staring Sonic, however, one thing which was hard to deny, is that Sonic Runners was being downloaded, it was being played and people were spending a lot of money on it. Now depending where you sit when it comes to this kind of game, this news will actually not surprise you, or it may take you completely by surprise. 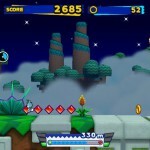 That being, Sega considers Sonic Runners a failure, in terms of how much money it’s making. Personally, I’m… actually a little surprised at this since I could have sworn they said previously that the game was profitable and was apparently doing rather well. Though at the same time, I’m not that surprised, the game has been heavily criticised for poor technical performance, an intrusive and invasive micro-transaction strategy and in some cases, randomly banning players for utterly no reason. Why would people want to give money to this? 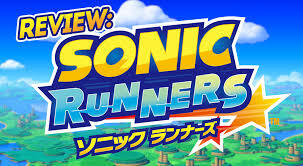 However, another issue which is a little strange is that, according to the report, Sonic Runners on average was making 30 million yen per month, which is around £180,000, that sum is considered a failure? How much money went into developing the game for that sum to be considered a failure? 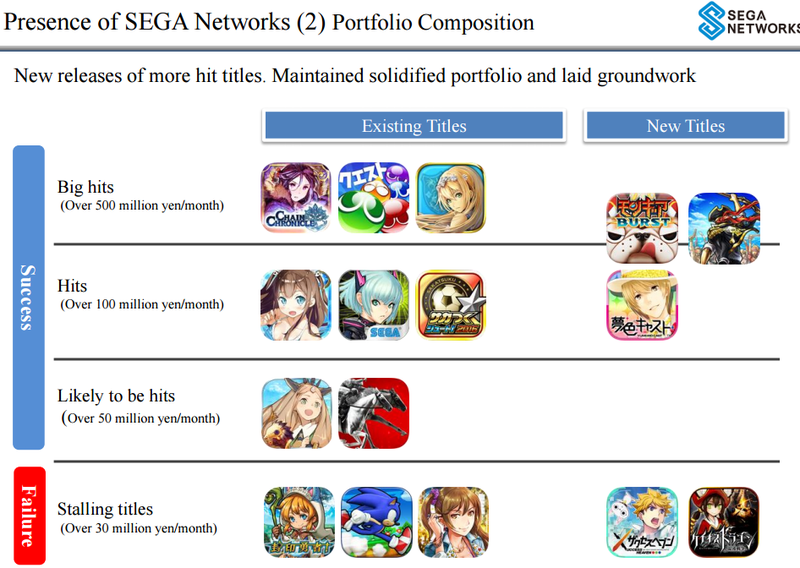 To put it into perspective, Sega considers games which make 50 million yen, or £300,000 per month to be successful. Merry Christmas from Sonic Talk! While I have dreams of lightsabers dancing in my head (this was recorded on Dec 17 so I was pretty anxious to go see Star Wars), Alex and GX talk all things Xenoblade while I zone out. Then, We discuss the latest game from Yuji Naka “Rodea the Sky Soldier”. Other topics include Sonic Boom DVD coming to the UK, updates for Sonic Dash 2 and Sonic Runners, my opinion of Sonic Lost World on PC and much more! Merry Christmas and a Happy Life Day! 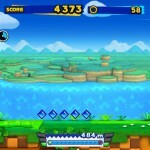 Friday saw a swathe of changes made to Sonic Runners with the release of the second version of the mobile app. Along with a number of superficial changes, a rather sizable overhaul of the game rules have been made. The main game has been divided into Story, Quick and Daily Battle modes, and a number of rules have been alterations have been made with regards to roulette probabilities, promotion and rankings. A special character, ESP Silver is now available via the roulette or through 5 consecutive daily log-ins. All non event-specific characters are also now permanently available, with the character egg drop probability increased to 10%. Some players will be pleased to hear the game recharge rate has been reduced to 15 minutes and that a maximum stock recharge of lives has increased to 5, however this is likely to have been implemented to compensate for the relatively short length of the timed game. 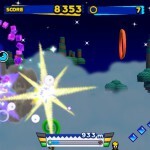 The scoring system has also been revamped in order to compress the game duration while still allowing high scores to be achieved, without the player having to demonstrate incredible feats of stamina and runs lasting for many hours (for reference, to score around 50 million points in version 1 of the game could take around an hour). 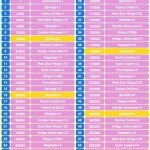 Alterations to the game which will no doubt infuriate long time players is the significant reduction of Wisp power and item power-up duration, but even more so will be the significant weakening of buddy abilities, including those which many players will have purchased extra red rings in order to improve. 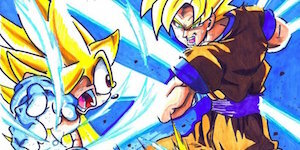 A number of players via social media have also complained about game breaking bugs and crashes, along with in-game obstacles that cannot be avoided. What are your opinions of the new version of the game, positive or negative? Let us know in the comments! 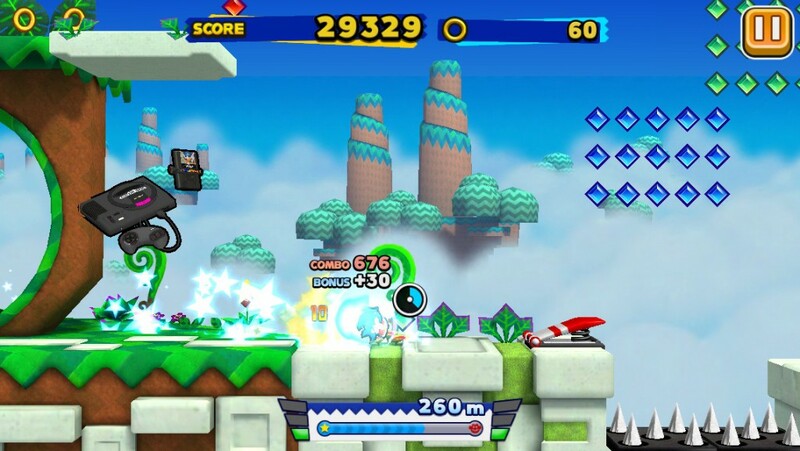 It’s been no secret that Sonic Runners isn’t afraid to swing the ban hammer, one of the earliest exploits from the soft launch resulted in many early players finding themselves locked out of the game for discovering that they could effectively get an infinite wisp power for an entire run. 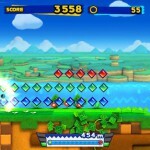 But in the last week, even legitimate players have found themselves victim of the ban hammer, in the last 7 days, we have received a very high number of reports from Sonic Runners players who claim they have been effectively banned from the game or had major restrictions placed on their accounts, the reason according to Sega is that they detected ‘irregularities’ in their accounts which violated the terms of service. This is despite the fact that they claim to have never cheated or used any other exploits in order to gain an unfair advantage in the game. When users dispute this with Sega, Sega’s response is either completely vague, non existent, or in some cases suggests that the reps they are speaking with have absolutely no knowledge of the game and are in fact making up their replies to get rid of the customer and their complaint. How are Sega Banning Players? Previously, Sega were just banning players, there was no ‘well you can still access this…’ banned meant banned, the most memorable case of mass bans was from an early exploit which allowed users to get a near unlimited wisp power up. People who abused this exploit found this message when trying to access the game. But sine the worldwide launch, this seems to have changed. 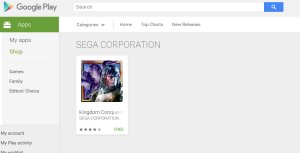 How Are Sega ‘Banning’ Users Now? 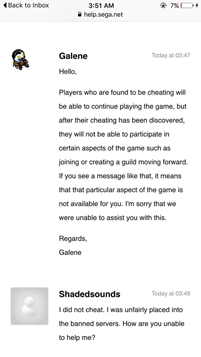 Sega are now moving users who break the TOS onto a ‘cheaters server,’ think of it like the ‘bad sport’ servers that RockStar use for GTA V or the ‘cheaters servers’ for Max Payne 3, you can still play the game, but you have to compete with other people who have also cheated in some way, this could be by using save file exploits/hacks, or a shippable bug/exploit which has come about in an update. The problem is that being in this server/group also cuts you out of getting weekly ranking rewards and may also restrict future special events/rewards. You’re effectively banned from accessing rewards for legitimate play, but you can still play the game, and yes you can still spend real world money. Why Are Fans So Angry/Upset At Sega’s Support? Let’s start with the most unbelievable part of all this, Sega’s own support team apparent lack of even the most basic knowledge of the game, to the point where you have to question if the staff are in some cases making up advice to customers asking for help. This is the support ticket that one user sent to help.sega.net. Seems reasonable and easy to understand right? The game is clearly listed, details of the device and operating system are present. The problem is also clearly listed, it shouldn’t require in-depth knowledge of the game to answer this question. 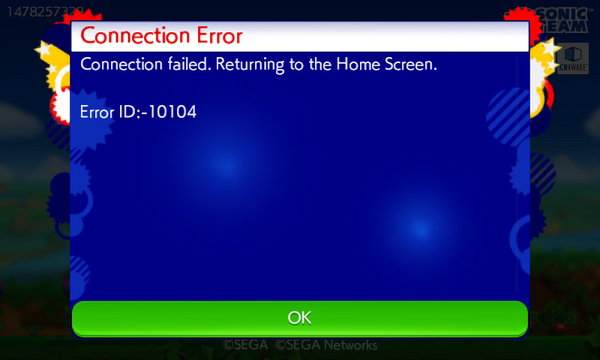 So how did Sega reply to his problem? With this. 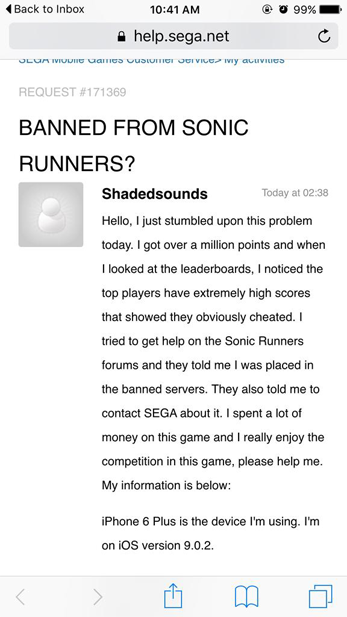 Because Sonic Runners doesn’t have guilds. 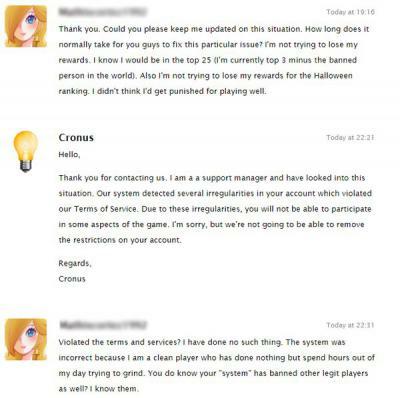 The second issue here is that Sega offered no details as to what this person allegedly did, they just said ‘our system said you cheated, the restrictions will not be reversed.’ So even if this person did cheat or use an exploit, they have no means to inform anyone else exactly what is or isn’t allowed. Now, this is just one persons claim, they might be making it up or trying to claim innocence right? Well… that might be the case, however it’s a lot harder to dismiss this case. 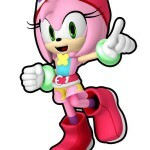 Twitter user StarlightAurora claims to prefer Power Characters, so following the release of new Halloween companions they tweeted their entire experience of playing Sonic Runners using a new combination of companions with characters who boost enemy kill scores, including the moment when Sega auto banned them from the game. After filling a support ticket with Sega, this was Sega’s reply. There’s that phrase again, irregularities in the account. No details as to exactly what this user did, no details as to what part of the TOS they broke, absolutely no useful information, despite their system being able to tell that they did break the TOS. 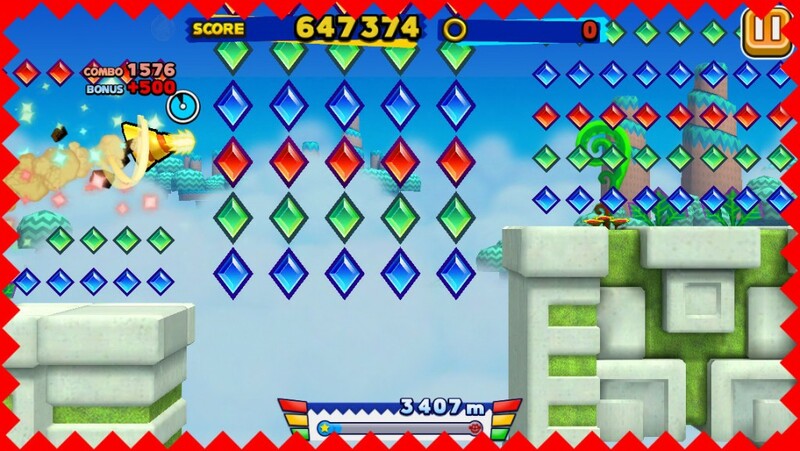 These are all screenshots from players who claim to have been banned from Sonic Runners, despite never having cheated or using any kind of exploit in the game. All of these have come from the last few days. Why Are People Being Banned? Based on the reports that users are posting on our own forums, twitter and various other social media outlets. 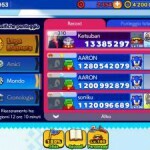 Sonic Runners appears to have in place some kind of auto ban function, when a user obtains a high score, unsure if it’s within a specific period of time, or if there is a so called ‘magic number’ which when hit results in the user being banned. 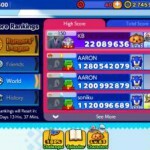 But every report made so far indicates that the users obtained a super high score or a huge personal best which resulted in a ban from the main game, they now have to play with users who have cheated in some way. At the moment, nobody can say for sure, but some people are pointing the finger at Sega’s own events. Currently there is a Halloween event taking place and one of the companion rewards ‘King Boom Boo’ is apparently very broken, especially when paired up with a power character who offers an enemy destruction bonus, like Halloween Omega. 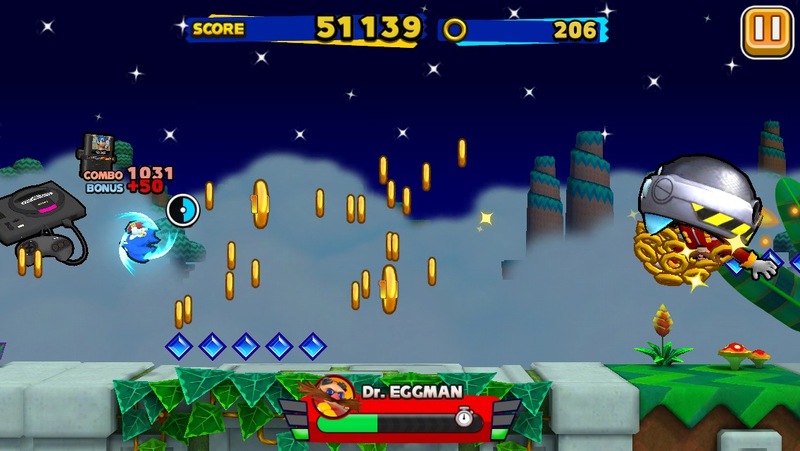 For example, before Halloween, a good player might be able to hit the 1 million point mark by the time they reached the first Eggman boss fight. Following the Halloween Event, due to the nature of the new Halloween Companions bonuses, it’s possible for a novice player to get over 3 million points in the first 3 seconds of the game. You can imagine how much an expert player can get in a 30min long game. But the madness doesn’t end there. On top of this, there is/has been a 2X ring event, so scores are going even higher and with new characters/companions who boost ring scores, they too are falling victim to the ban hammer. The problem here according to some long term Sonic Runners players, is that the new companions are so badly balanced, combined with the new character bonuses, that they’re obtaining mega high bonuses/huge amount of points in a short period of time, that the game things they are cheating and as a result they are being put into the cheaters server and are restricted from reviving weekly rewards from their rightful ranking board. Despite claiming that they have never cheated or broken the TOS in any way. 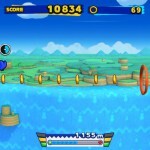 With Sega’s support offering no help or even any indication as to what exactly players have done to break the TOS, many users who have found themselves in the cheaters server are advising other users not to use any new companions or characters, some are going as far to deliberately keep their scores below 10 million which seems to be a safer means to play the game long term. However the key here is Sega, they need to be a lot more open with exactly what is going on in Sonic Runners and be much more open with how players have apparently broken the TOS because right now many players are baffled as to what it is they did wrong. We’ll keep you upto date with any new information as and when we get it. Dare I ask if anyone reading this has found themselves victim of the Runners ban hammer? Let us know in the comments. 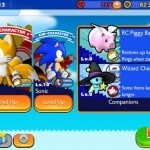 Sonic Runners To Get Major Bug Fix & Raid Boss? 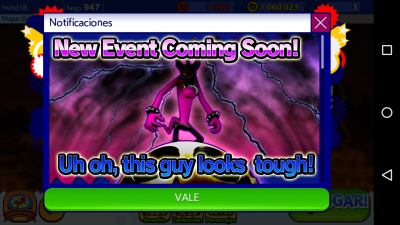 Sonic Runners continues it’s steady stream of event announcements with a halloween themed event centred around Zazz. 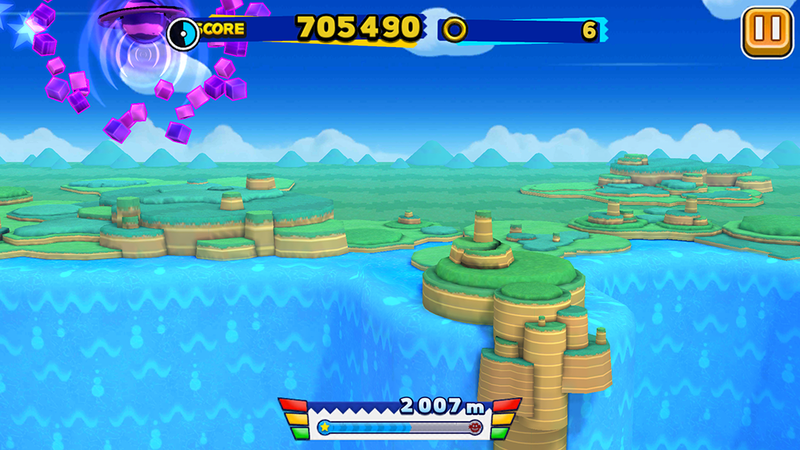 However, this event is unlike any previous events held in Sonic Runners so far. Roughly translated the text warns players of a ‘strong enemy Zazz Raid,’ traditionally, raid enemies are powerful enemies which drop a huge number of rewards when defeated. However that’s not the only announcements, details of the next version of the game have also been posted and two major bugs, one of which we posted details about as well as a fix back at the start of August, might finally be fixed. That being the clear cache bug. 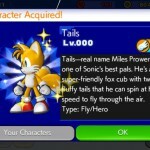 As it stands right now, Sonic Runners doesn’t remove any old event data or notification data, even if it’s totally worthless. e.g. notifications with dates on them. This means that if you have had the game since day 1 and never performed any maintenance, then the game is actually storing nearly 2GB+ if you have never cleared the cache/redundant memory files from the game. Well it appears that there will now be an option in the game to actually perform this task without having to connect your device to a computer and manually doing it. It also seems that Facebook options/settings will also be enabled in this version too. It’s expected that this update will come within the next week or two. This is starting to become a bit of an annual thing now isn’t it? 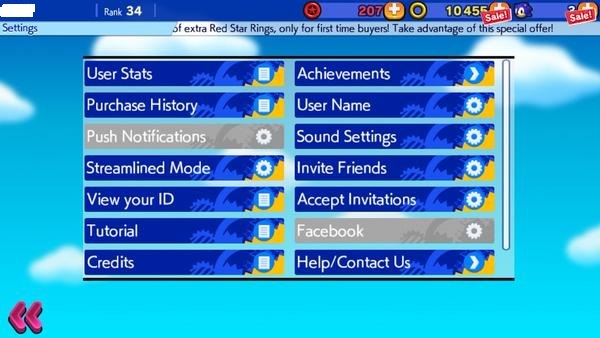 Sonic Runners has reached 4 million downloads worldwide, to celebrate this, players who login between September 19th – September 23rd will receive 10 red rings for each day that they log in. 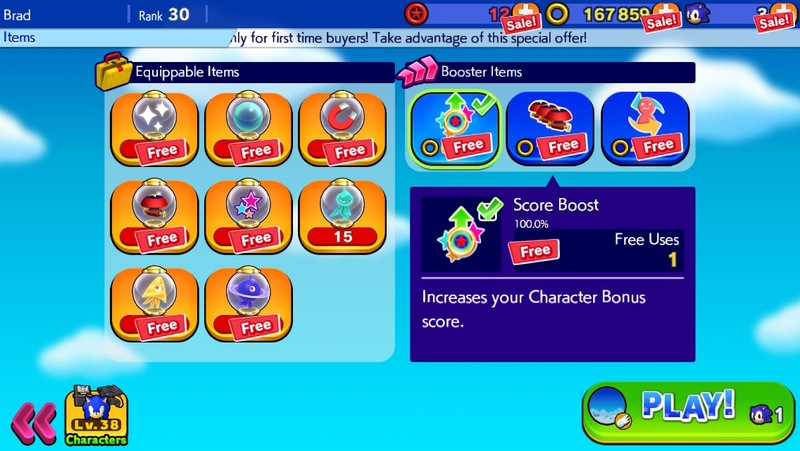 Some may find this of use as Sonic Runners also changed the way you can unlock Amy Rose, no longer do you need Facebook referrals, now you can actually buy her similar to how you currently unlock ‘Team Easy’. Or you could try the roulette trick and see if you get lucky. 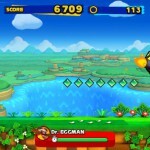 Sonic Runners: How to Land on Whatever Spot You Want on The Roulette Wheel! 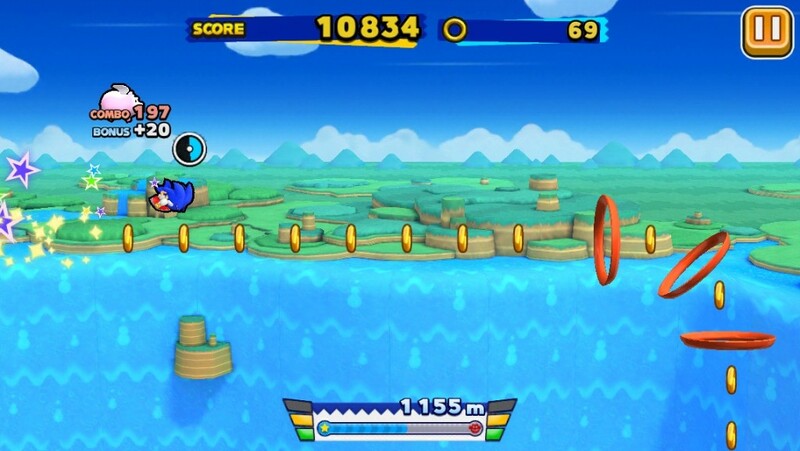 Ever since Sonic Runners first launched, users have been divided as to how if there is a way to manipulate the roulette wheel, for instance, tapping the screen whilst it’s rotating seems to influence when it will stop, but nobody was able to nail down a precise method to stop it at will or at a specific point. Well it seems that those who were convinced that there was a way to manipulate the wheel so that it stops in a specific spot were right. A YouTube video posted by Premydaremy illustrates the trick in action, in the video the user is able to land the wheel on the character spot at will, multiple times in a row. Now, the user calls this a ‘hack,’ however this isn’t correct, a hack would be the right terminology to use if you had to manipulate the games code or use some kind of modification to perform this. Call it a cheat or a trick at the most, however given how we’ve been able to make the wheel stop early since the soft launch, this seems to be deliberate behaviour left on the wheel from the developers. There are two methods to doing this, I have managed to get the first method to work exactly as show in the video, the second method didn’t work at all. Spend 50 red rings and let the wheel start to spin. On the first spin, when the dial reaches the 6 O’clock position on the wheel tap once. Then on the second spin, rapidly tap the screen/wheel with your finger. If done correctly, you will land just inside the character egg space. Let the wheel complete 2 full rotations. On the third rotation, when the dial reaches 6 O’clock, rapidly tap the screen again. 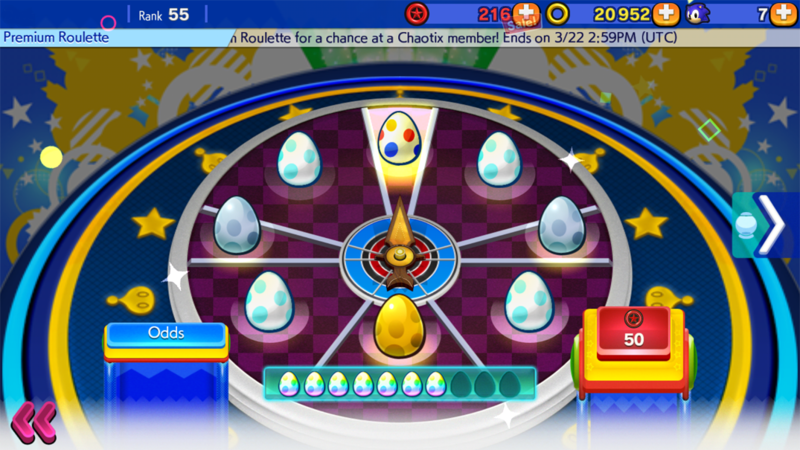 In both methods, odds are you will land on either the character egg or the golden eggs. I have tested method 1 and it worked first time. However as pointed out this is not a 100% guarantee, but from feedback from other users and my own testing, this seems to work most of the time after you’ve mastered the trick. Whilst this trick is designed to work for the character and golden eggs, odds are if you adjust the timing as to when you first tap the screen, you can manipulate the wheel to land on whatever spot you want, including the daily spin wheel. Give it a try and let us know if it works in the comments. 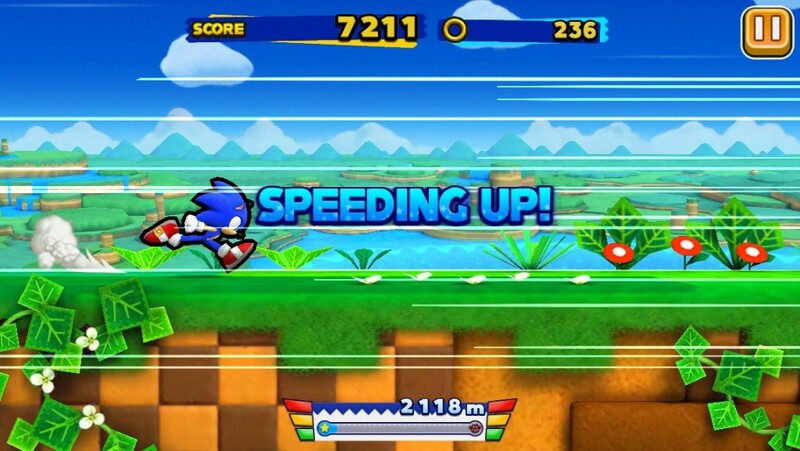 Sonic Runners continues to do well for Sega it seems, despite a very rocky launch and the game being plagued with serious problems. That hasn’t stopped people from downloading it 3 million times. 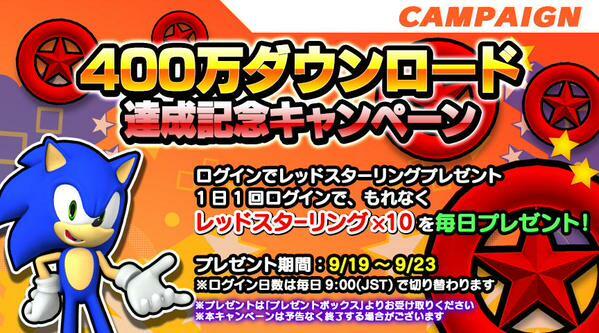 To celebrate the milestone, Sonic Runners will be rewarding anyone who logs in from August 28th – September 1st with 10 red rings for each day that they log in. 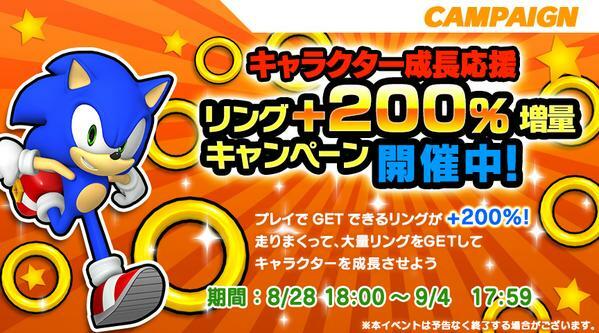 Another part of the celebration is that Runners will be holding a ring boost event, from August 28th until September 4th, all rings you collect will be doubled. Great news if you want to level up your characters. 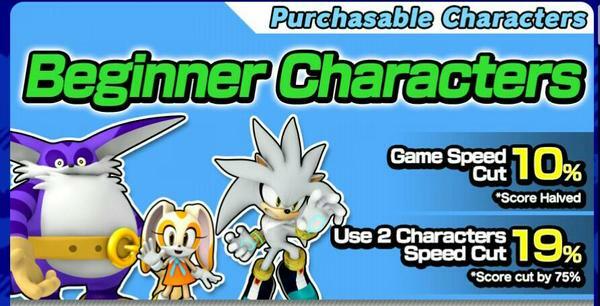 Finally, Sonic Runners will also be running a Sonic Adventure themed event in the near future. Disclaimer: The views in this piece may not reflect the views of TSS or other writers on the staff team. 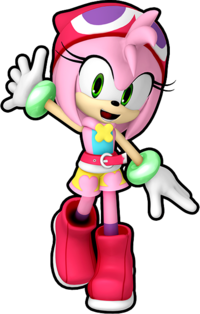 The intention of The Spin is to promote debate and discussion of an issue or something that’s happening in the fandom or the world of Sonic. *During this article I will be writing about information which is based on secondary research which I cannot personally test or verify, I have used the information in good faith that it is correct, however should evidence come to light which puts that information as being wrong, take that information over the one detailed in this article. I really hate having to do updates like this… I utterly hate it, I also find myself saying this a lot but my god it’s becoming harder and harder to say it with sincerity. 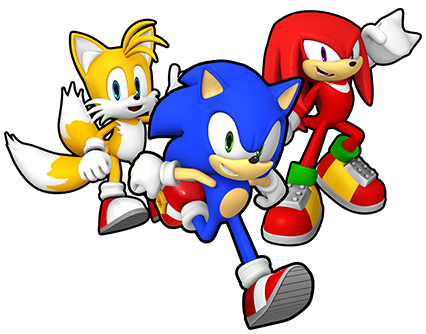 Believe it or not, I want Sega to do well, I like Sega, I like the people who work there, I love the games they put out and they’ve entertained me for hours. 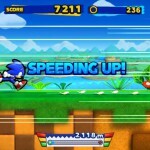 Earlier this week, Sega announced that their free to play title Sonic Runners had hit the 2 million downloads figure. 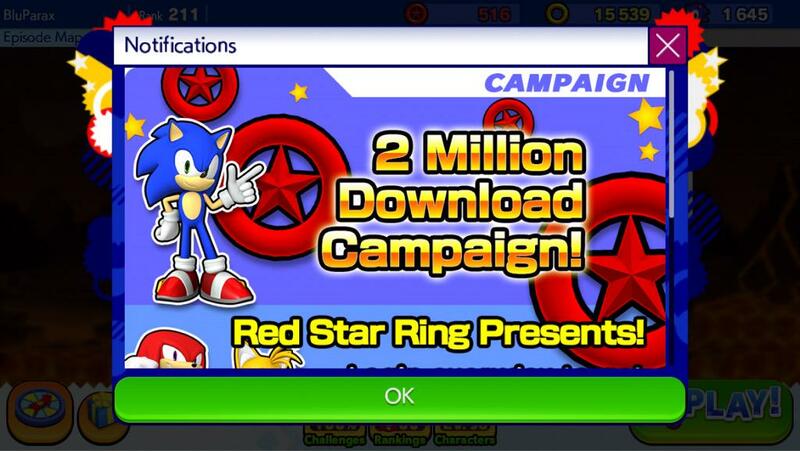 To celebrate the news Sega are offering discounts to users who purchase red rings from the in-game store. 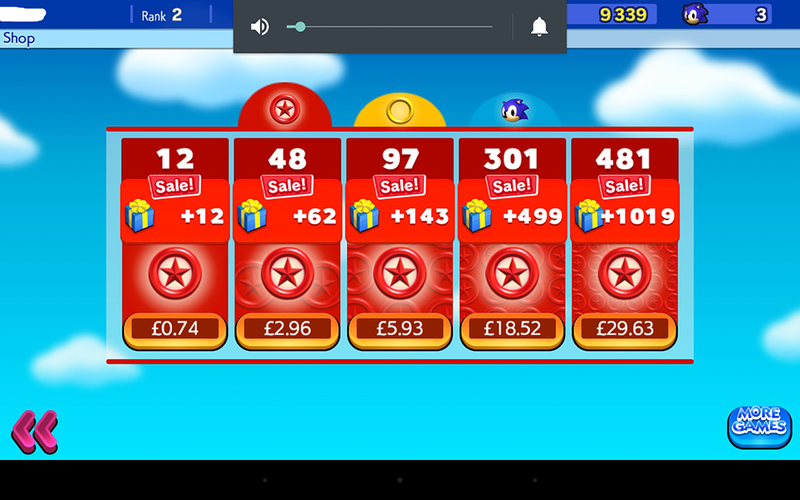 However if you don’t fancy spending any money, Sega are holding a daily promotion. 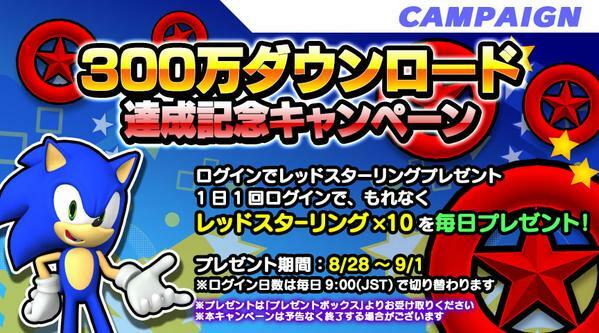 From now until August 3rd, if you log into Sonic Runners, Sega will reward you with 10 red star rings each day until the promotion ends. Can they make it three million? Lets hope so! Then we might get more free stuff! 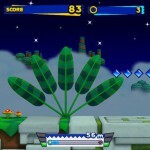 Well Sega must be pretty happy with how Sonic Runners is doing if this pic is to be believed. 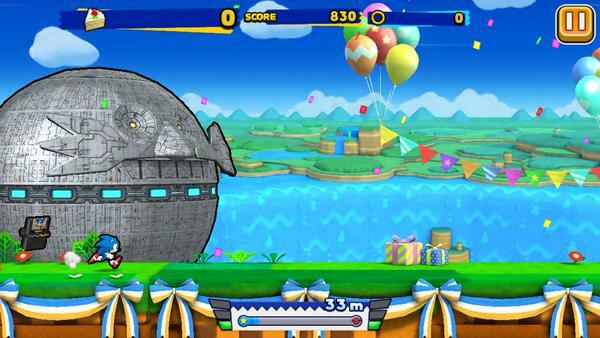 Later this month, Joypolis will be hosting a Sonic themed birthday party for Sonic’s 24th birthday, in a post on the Sega’s Joypolis website, there are what appear to be new Sonic Runners themed merchandise. 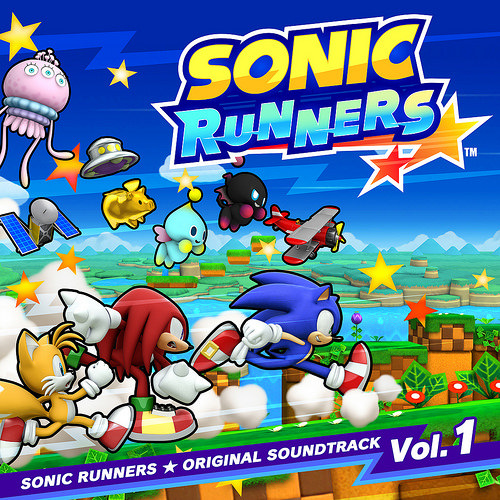 To launch at the event & to be given away as gifts to attendees, there will be new Sonic Runners themed ‘clear files’ (folders), and a Sonic Runners drinking flask. 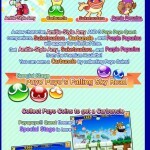 Odds are these will never be seen outside of Joypolis, however, the fact they have been commissioned says that Sega definitely view Sonic Runners as being a success even though it’s still in a Soft Launch testing window period. 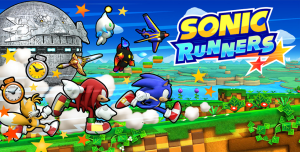 Sonic Runners has been running for a few months now and in the coming days a new event will be held. 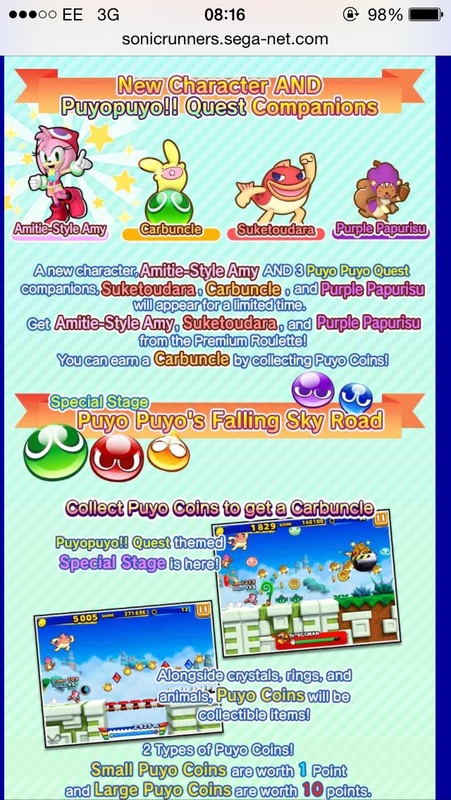 Sonic Runners & Puyo Puyo Quest will be combining to produce a special event for Sonic Runners players. The event will work in the same manner as the Easter Egg event which was held a few months ago, only this time players will be collecting special coins, some coins are worth 1 points, others are worth 10. 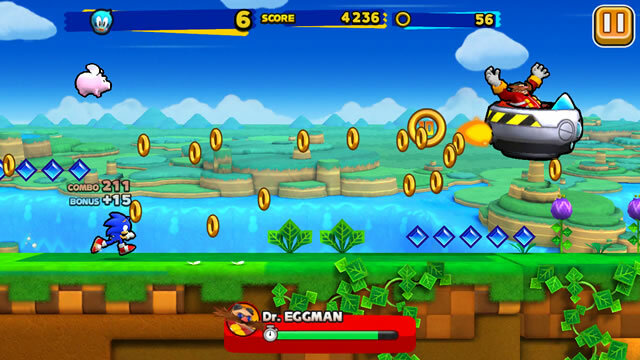 As you collect coins, you unlock prizes and rewards which can be used in Sonic Runners. 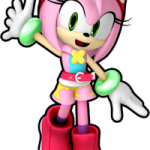 As well as bringing new companions (now known as buddies) into the game, there will be a chance to grab Amitie-Style Amy Rose, her special abilities are that she increases animals captured by 150%. However, as with previous events, this will be a limited time deal, once the event is over, the character and the buddies are gone for good. Event starts on June 10th and ends on June 17th. You can pre-register for the event here and receive a free Suketoudara buddy. 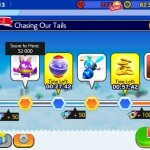 Sonic Runners has been out for a few weeks now, despite the popularity of the game, there are still a bunch of hidden tips and secrets which not many people know about. Some of which have big positive effects on the player. So this update is a list of some of the biggest and best tips that we’ve found as well as some that not many people are aware of, none of these involve modifying save files or any other file edits, they’re in-game features people don’t know exist or are ignoring. So lets start with one of the biggest ones shall we. Stop the Premium Wheel on Whatever Space You Want! Confession time, I have not yet got this to work myself, but after some practice I am getting better at it, some people have claimed they have gotten all the Chaotix this way and from my own testing I believe after practice you can nail the timing. 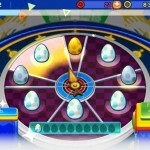 You know that premium wheel, the one which you have to use eggs or red rings to use? Well there is a way to stop it on whatever spot you want. When you start the wheel let it do one or two full rotations, if you then tap the spin button again, the wheel will abruptly stop. However, it doesn’t stop right away, it enters the slowdown animation and if you time it right; it’s possible to trigger the animation so the dial will stop in the exact spot you want it. For the Chaotix, if you imagine the wheel as a clock, it’s best to tap it just as the dial enters the area of 6-9 O’clock. What should happen is that the dial will stop spinning, at around 10-11 O’clock, it will then enter the slowdown animation and creep over into the next space, which is the Chaotix Egg/top prize. As far as I can tell, you can also do this with the golden eggs too. I strongly recommend you practice this using the desktop version of the game, you can lose all your red rings VERY quickly attempting this. If you want to practice, download ‘Andy‘ and the APK file for the game and practice with new accounts. It’ll take around 10 min to get your first free spin of the wheel. When you get the timing down, try it on your main account. There are one or two things you need to do before doing this. 1: You need to Link your account to your Facebook profile. (check the options menu if you didn’t do it in the tutorial). 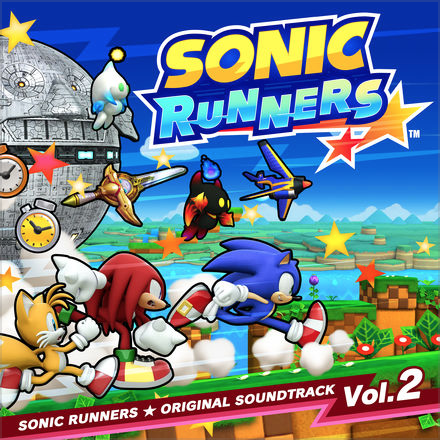 2: You need to have friends on your Facebook who are playing Sonic Runners. 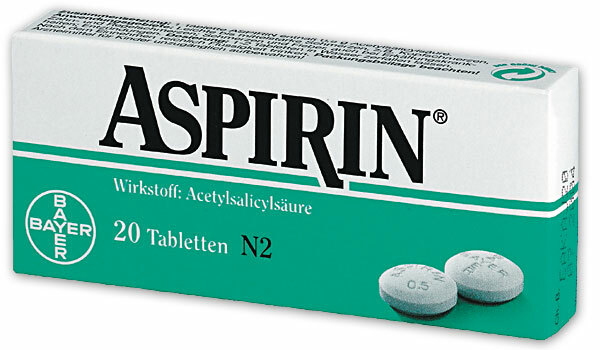 If you have that, then you can do this next trick. On the main menu, go to the leader boards, then select ‘friends,’ now select your friend and their player card pops up. At the bottom is the ability to ‘send them a challenge’ do it. Wait one hour/shut down, then restart the game. 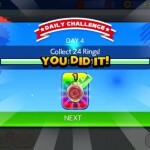 You are now given 2,500 rings for every challenge you sent. Regardless as to if that friend logged in and played the game. 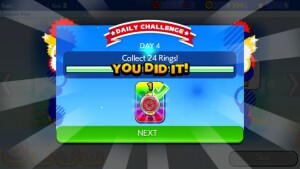 So long as you sent a challenge, you get free rings. It’s that simple. The cost to you? Nothing, just a few taps on the leader board screen. Get/Give your friends extra lives for free! Your friend doesn’t get a challenge, what they do get however is a free extra life! For whatever reason, the game doesn’t send a challenge, it does however send a free extra life/try, and yes, they stack! 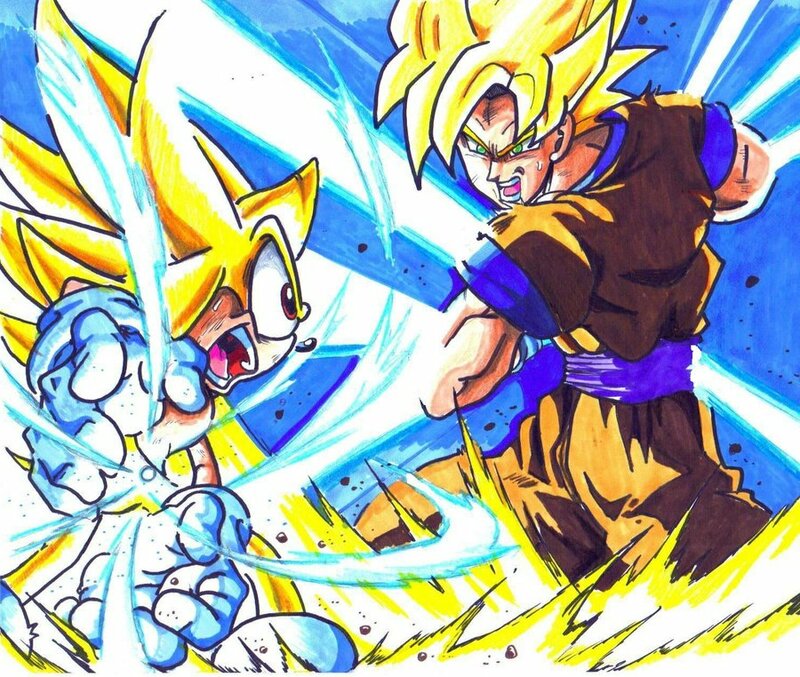 The moment you send a challenge, your friend will get the reward. There is however a cool down period as to when you can do this again, but this is a great way to get tons of attempts at later levels. So you might have already seen this, but here is how it works. 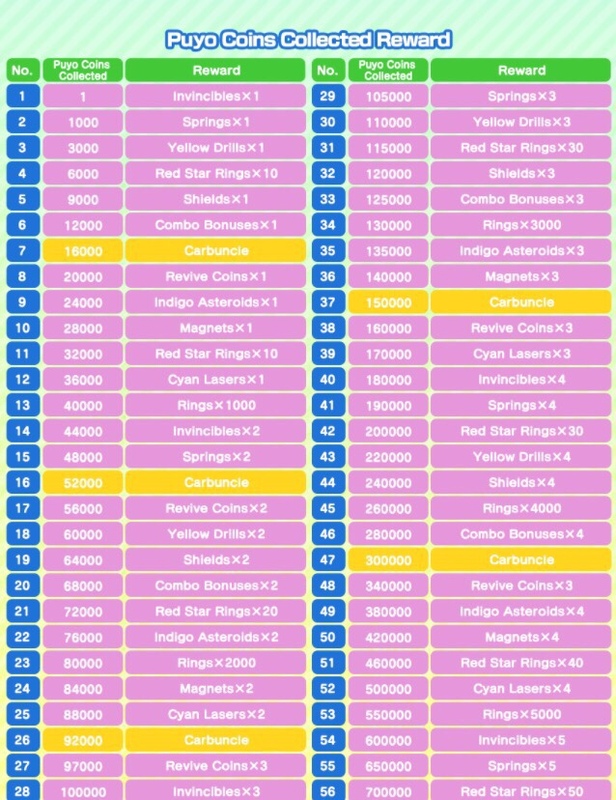 The more things you collect in runners, the higher your combo bonus goes, in normal play, it caps out at around 30-50 (depends on a few things). However, it’s possible to extend this to 300-500 (depends on how many gems/rings/animals you’ve captured so far without being hit). First thing you need to do, find the power up which extends your combo period (you’ll be covered in stars). Then, a drill wisp (any wisp works, but drill is best). The combo will now rocket up to 300 or 500 depending on your chain. On top of that, the drill wisp will also add an additional score multiplier to that which can give you some insane scores. 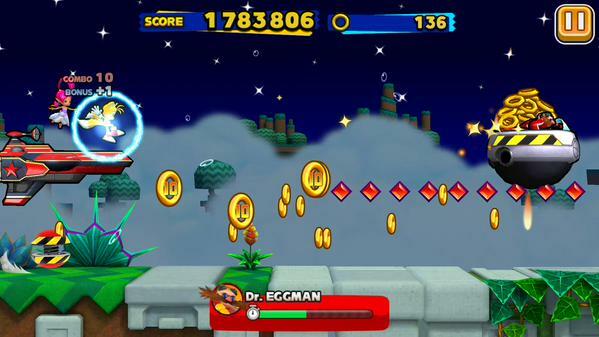 Don’t Want to Fight Eggman? You get to the end of a stage, the boss appears… but you don’t want to fight him yet, maybe you’re doing a daily challenge? Maybe you want to farm rings? Maybe you just don’t have time to see if there are red rings in the next area? 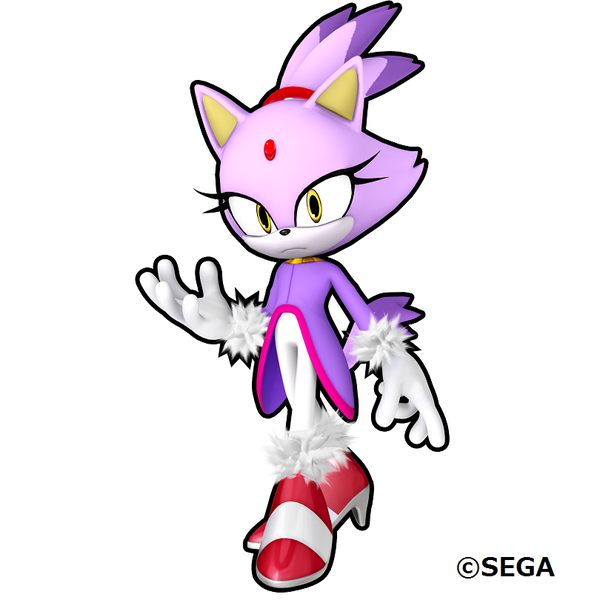 Then don’t fight Eggman. You can avoid a battle with the boss if you select ‘play’ instead of showdown, you can do this as long as you like. So those red springs, finally managed to figure out the timing on those? Well did you know you can perform mid air tricks for even more points? When you approach a red spring, tap the screen to be catapulted up. The moment this happens, rapidly tap the screen to make your character perform ticks, the higher your combo, the more points you get. That’s all the tips and secrets for now, but if anything else is discovered we’ll do an update. 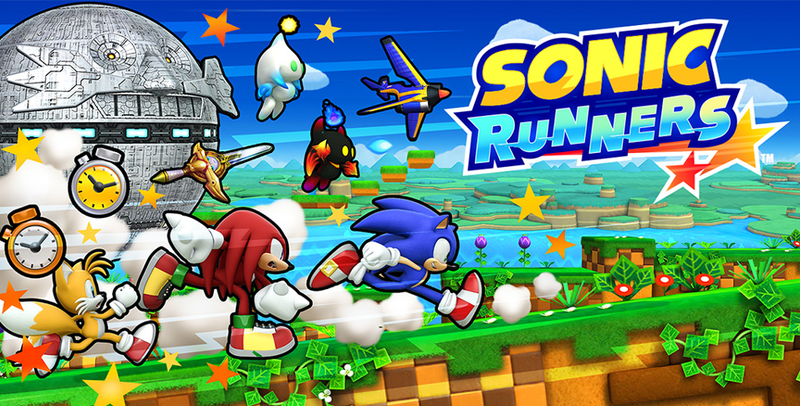 In case you missed it, Sonic Runners launched a little while ago in both Japan and Canada. Thanks to members of our own SSMB, many of us outside these regions have been able to get our hands on the game… including TSS Staff! As such, here’s a gallery of screenshots directly from the game itself, running on an iOS device. 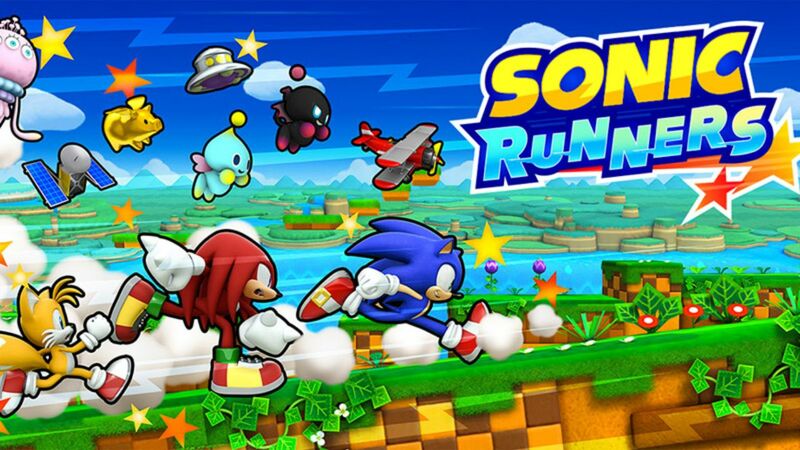 If you’re wondering where Sonic Runners’ release is for the US and Europe regions, SEGA have stated that the game will be soft launched to work out bugs and see the game’s performance. Following this, a decision will be made if the game will be launched in these regions. Though it may take a while to reach us officially, you can view plenty of gameplay and media online while you wait, including our gallery you can catch below which we’ll keep updating. And don’t worry about the game’s quality itself – first impressions have been pretty positive from us here, and other users of the game so far.